The Vineyards Naples Fl is an award-winning private golf community on 1375 acres east of I-75 off Pine Ridge Rd. There are 40 distinct Mediterranean-style neighborhoods within the Vineyards offering single-family homes, villas, townhomes and condominiums. And most properties command views of the golf courses, lakes or preserve areas. The neighborhoods within the Vineyards Naples are all-inclusive and offer superb amenities. Some newer homes and condos in the Vineyards are found at Vista Pointe, Avellino Isles, Hammock Isles and Venezia Grande. Prices range from the $400s to over $3 million. The community has no bank debt, making it a financially stable community. Also, there are no extra CDD (Community Development District) fees, which you may find in most communities of this size. The Vineyards offers a manned 24-hour guard gate for the majority of properties. Vineyards offers abundant amenities and conveniences to its residents. The community has 32 acres of parks and 38 beautiful lakes with bike and walking paths throughout. The Crossroads Market shopping center is adjacent, as is Physicians Regional Medical Center. The Vineyards Elementary School within the community. Members enjoy a complete country club experience and lifestyle. A diverse community that encourages camaraderie and life-long friendships where everyone always feels welcome. The 70,000 square foot clubhouse with resort-style amenities provides an exclusive, first class experience in a relaxed setting that is unrivaled by any other club in the area. Recently renovated with no member assessments, the clubhouse is yet another example of the commitment to its members. The Vineyards offers two stunning 18-hole championship golf courses – the North Course & the South Course. The North Course is a Scottish-style links course designed by former PGA player Mark McCumber. Multiple teeing locations and a smart layout, make this course friendly for all levels of golfers. The South Course appeals to more accomplished players as it is the former home of Naples’ Senior PGA event. Designed by Bill Amick, this challenging layout tests your tactics and course management skills. The Vineyards Country Club, a private non-equity golf and country club with memberships available for residents and non-residents. 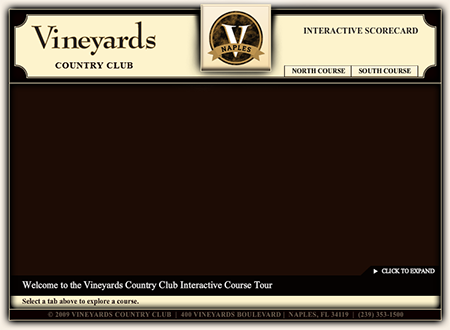 The Vineyards offers six levels of membership from full golf to social. For latest membership info, please contact the membership director. For additional information about The Vineyards Naples FL, please complete the form below! I or one of my team members will respond to you within one business day.